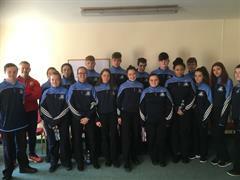 The GRETB Basketball Competition 2018 was hosted by St Killian’s College in the New Inn Sports Centre. 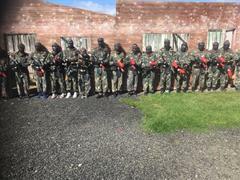 Teams from the GRETB schools competed in the 1st yr, 2nd yr and Cadette competitions. The first game at the group stages saw St. Killian's College take on Clarin College, Athenry. St Killian's gave a smashing display to ruthlessly overcome Clarin College. The St Killian's girls faced a bigger challenge in the clash with Merlin College, but went on to win the game. 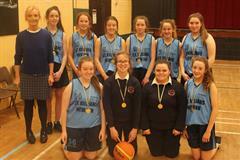 The St Killian's girls took on Coláiste an Eachréidh in the final. There was some great defensive and offensive play. 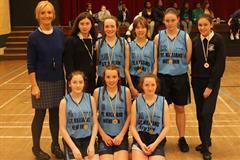 It was St Killian's who won the gold medals. The St Killian’s Second Year Competition started with great excitement. 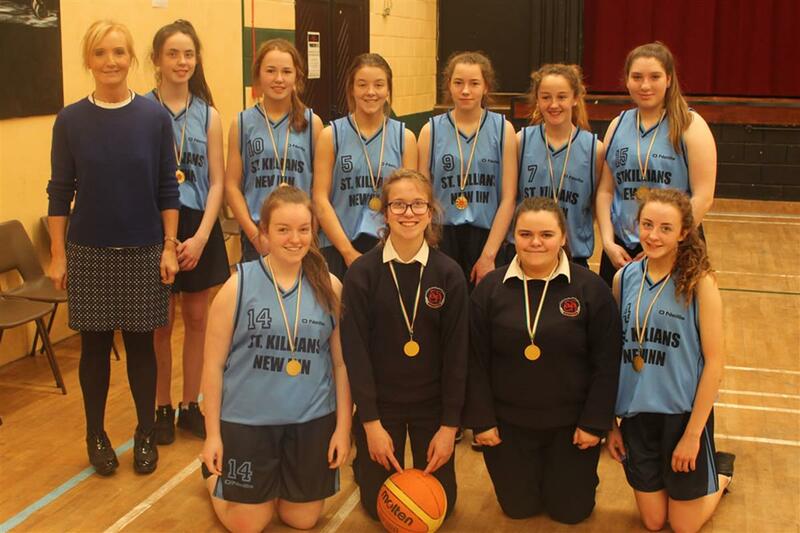 The St Killian’s girls took on Clarin College, Coláiste an Eachréidh and Merlin College. There were brilliant displays from the St Killians girls in the final against Clarin College. As the final whistle went, Clarin College took home the gold medals. 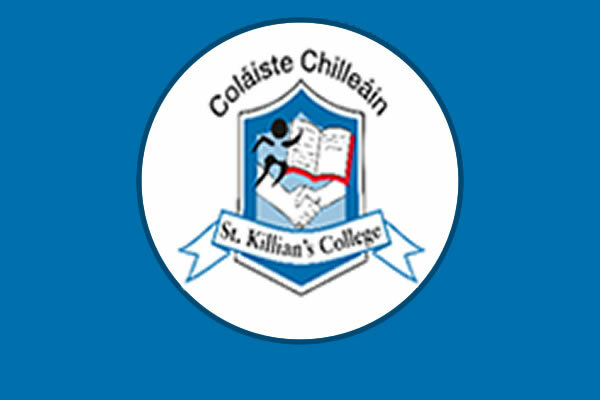 The St Killian's girls had comprehensive wins over Coláiste an Eachréidh, Merlin College and Clarin College. St Killian's gave a smashing display to overcome Merlin College in the first game. 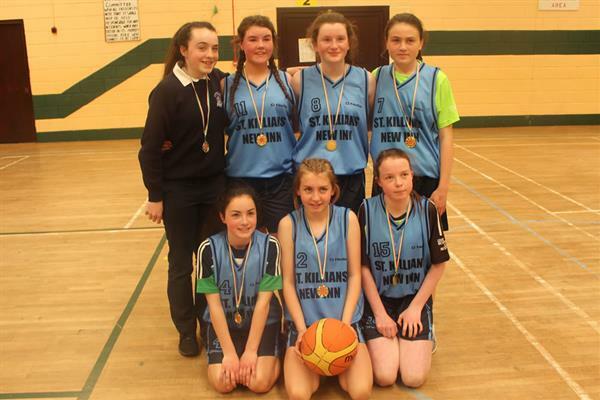 St Killian's girls played with passion and commitment throughout the game. St Killians faced a bigger challenge in the game against Clarin College. They had a slow start and were forced to chase the game for the first half. There was some excellent shooting from Cora Kenny, Jasmine Scully, Michelle Callanan, Ciara Griffin and Andrea Coen, and some great defensive displays from Caoimhe Donohue, Kate Creavan and Therese Garvey. In the end it was victory for St. Killian's College.